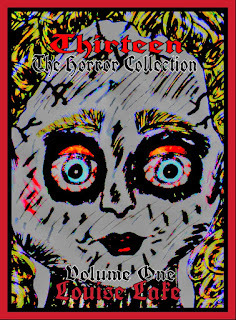 My new young adult short horror story book Thirteen: The Horror Collection is on it's way and will be available from Amazon in August. 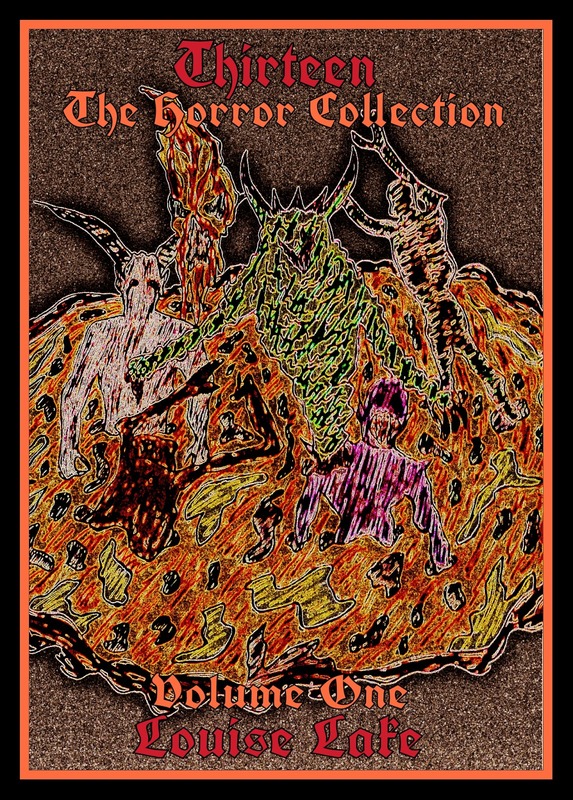 This will be volume one of the collection, as I am already planning volume two with another thirteen creepy horror stories. I always admired buying and selling at auctions. Buying kept me in my element, as I had recently lost my auction virginity and I visited at least one auction a month. But none of the auctions were anything compared to the last one. I had never been the kind of girl to believe in ghost stories and curses and I’d never really liked pot dolls. Yet one day during an auction, I came across an intriguing pot doll. Her eyes looked full of sorrow as they drew me in, making me feel sad even though she was only a doll. Just before the auction started for the hypnotic doll, the seller had a story to tell relating to the history of the doll. All I could imagine was the seller rambling on about the technique of doll making or something close. The seller was an odd looking middle aged man. He was dressed entirely from head to toe in black with long, wispy, grey hair. He had no fashion sense to be seen. His eyes were filled with an anxious look and I could see beads of sweat beginning to form above his brow. The doll’s facial features were oddly realistic. I guessed she must have been made by a great artist. The doll’s hair was made up of perfectly formed blonde ringlets. Her skin as pale as the first winter’s snow and her lips were vibrant red and full of pout. Her cheekbones were beautifully defined with iced pink flushes at either side and her eyes were wide and green. After a brief and boring introduction about the history of doll making as I assumed would happen, the man began to speak strangely about the doll, as if it was a person. ‘I will now tell you an interesting story about this doll, which I was told many years ago. Almost one hundred years ago there lived a great witch. The witch practiced magic of the blackest forms. She cursed many people during her years. She was feared by many and was later cast out by the people of Eldritch. The only ones that she trusted were her lover and daughter. The witch’s daughter was greatly admired by every man; she was called a goddess, overly beautiful on the outside. One evening on the day of her sixteenth birthday the witch returned home to find her daughter in the arms of her lover. The witch’s daughter had been having an affair with her mother’s lover for one hundred days. As the man headed towards the back of the room he eyed me on his way past. The way he looked at me gave me the creeps and I swear I saw a slight grin creeping from his lips. He was a good story teller but there was no way the story could be true. I found the doll inspiring so I decided to place a bid. That was my call, I just couldn’t resist; forty five pounds seemed reasonable enough so I raised my hand. After a while if I decided to sell her on, I bet I would get triple of what I paid. When I returned home that night my boyfriend, Brett, had made me a surprise meal and cracked open a fresh bottle of champagne. ‘Are we celebrating?’ I asked. ‘Hi there, Hun, I was made chief executive of the company today, so it looks like we are going to have far more money in our pockets, he said smiling. I jumped up in excitement throwing my arms around his neck before I kissed him. ‘I’m so proud of you. Look what I bought today, I said pulling out the antique doll. We sat down to our meal and a flute of champagne, catching up on the day as we always had. The next night Brett had to go away on business for a few days as he was now chief executive and with the title came responsibility. I guessed that he wouldn’t be around as much, but we both enjoyed our own space every now and again. Before I went up to bed I placed the doll upright on the sofa and I decided to leave her there for the night, until I found a suitable place for her. The next morning I awoke to a strange clanging noise coming from my kitchen downstairs. I rushed down the stairs with my bedside vase in my hand, only to find that the waste bin had been tipped upside down and rummaged through. I almost tripped over a pile of tin cans, as I knelt down to pick the bin up from the floor. As my fingers neared the bin I saw the image of a face skip from one of the cans, and the vase fell from my fingers shattering all over the floor. I immediately looked around but there was nothing there. Standing up from the kitchen floor, I paced quickly into the living room. I walked towards the sofa to retrieve my antique doll, but she was nowhere in sight. Searching around the back of the sofa, I looked underneath, but there was still no sight of the doll. I started to look around the house: downstairs, upstairs and in every cupboard and place in sight. I completely tipped my home upside down but I still could not find the doll anywhere. After a while I gave up the search as a failed attempt and went back into the living room to sit down and rest for a while. To my surprise the doll was right there, sitting in the exact same position I had left her the night before. ‘That’s odd, I said to myself. I must have somehow missed her. Night soon came again and I decided it was time to call it a day. I went to bed leaving the doll still sitting on the sofa. I tossed and turned in my bed all night, having unusual dreams of being locked inside a box, a box that was the same size as me from every angle. It was a terrible nightmare as I had been claustrophobic since I was young. I awoke the following morning with sweat dripping from the top of my hair line and without a pillow under my head. As I looked around for my pillow on the floor I found a small blonde curl on the carpet. I knew that the hair wasn’t mine as I was a brunette. My first thought was of Brett having an affair, but it seemed unlikely as when he wasn’t at work he was with me. I decided it was time to clear my hazy head and wake up so I jumped into the shower. Whist the water ran down my body the glass door began to steam up and I felt as though someone was watching me. I closed my eyes telling myself to stop being so paranoid when the feeling came on stronger. When I opened my eyes I saw the doll through the corner of my eye bolting past the shower door. I blinked and looked again to find the image had vanished into the steam. I opened the shower door slowly but nothing was there. I stepped out and walked back into my bedroom to get dressed. When I opened the wardrobe door, there was my pillow hanging from one of Brett’s ties. The tie had been tightly wound around the top of my pillow, giving the impression of a person hanging from a rope. I was freaked out to say the least. To put my nerves at ease I called Brett. When he answered he explained that he had just finished his meetings for the day so he stayed on the line for a few hours. He promised me that he would be back as soon as possible. Brett had always been such a loving boyfriend. Whenever I felt uneasy he was the only person that could manage to calm me down and make me feel myself again. He told me not to worry because before I knew it he would be home. Once again night dawned upon the sky as I looked outside the window to see the moon. I remembered the man’s story from the auction. There was no moon to be seen. I looked every ten minutes but still no moon appeared; it looked as if tonight was a new moon. I ran downstairs grabbing the doll from the sofa. I planned to lock her up in a cupboard upstairs but as I searched around for the key, a flash of bright light blinded my sight and I fell to the floor. Crawling around the room, trying to make my way outside, I began to feel faint. The light faded as the doll stood upright. I felt as if she was starring right into me and then she blinked. My mind faded into a cloud of darkness as I fell unconscious. I awoke the following morning as the sunlight shone through the window almost burning my eyes out of their sockets. Something didn’t feel quite right. I didn’t feel like myself. My breath was shortened and I felt lighter than usual. I tried to move but my whole body was paralyzed. Then I noticed that I was no longer in my own body. She walked over to me carrying a gruesome grin on her lips; she picked me up in her overheated hands as I tried to scream. I could hear the screaming inside my head but nothing was coming out of my mouth. My lips were glued together. I screamed louder and louder and then Brett walked through the front door. ‘Help me Brett that’s not me, I screamed. But he walked straight over to her and kissed her plump lips; she turned her head towards me and winked with her toxic eyes, which had once belonged to me. ‘Your hair looks great blonde, Hun, did you do it last night? And your lips look fantastic. Is that a new lipstick?’ said Brett to the temptress. I carried on screaming until I barely felt the will to live. Then she looked at Brett and spoke. My heart began to pound and my body began to shiver as shooting pains thrust their way through my porcelain body. But it was useless; he could not hear me. Brett pulled out an engagement ring. It seemed he had already planned to propose to me, only now he was proposing to the wrong girl. Just as I thought that my life had come to a standstill and that I would have to wait a hundred years to be set free, I was in store for another shock. My name is Darcy and this is the story of how I died. I was one of the most highly appreciated and socially popular girls in my high school manor high. My life was great and my parents were cool. They let me do anything and everything within reason. I went to the coolest parties and hung out with all of the most respected people. I went to a party last week at Tara Bentley’s penthouse complex. Her parents were totally rich and that’s how she had her own place by the age of sixteen to hold the wildest parties. That’s where he first truly noticed me. I mean guys notice girls in school all of the time but he saw me all dressed up and he really noticed me. His name was Jessie Carter and he was the most popular and hottest guy in school. He was the captain of the football team and his dad was super rich, as rich as rich can get. I was there at the party with my best girls Lisa, Kim and Ellie, just having a drink and a dance when I noticed him standing there. He stood straight across from me and his eyes were completely glued in my direction. I looked around helplessly in any direction but his, trying to make him think that I hadn’t noticed as I smiled at the girls. I was totally playing hard to get and my hard work paid off because two minutes later he was standing right behind me whispering ‘hello beautiful’, into my ear. I couldn’t help but giggle a little but when I turned around he had vanished. It was as if I had imagined the last two minutes of the night. After that night he didn’t even look at me once at school and I felt like the whole world was about to come crashing down on my head. That was until my life became a whole lot more bizarre. 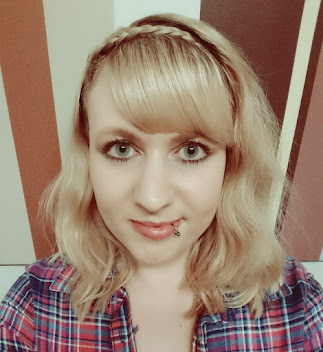 I was sat in English Class on Friday morning with the girls talking over nail polish and skinny lattes, when they told me they had some good news for me but I had to wait until dinnertime as apparently I would panic. I glanced over at the clock, it was exactly thirty seconds until the school bell would go off for dinner. I was literally sat on the edge of my seat, ready to sprint out of the classroom at any given moment, heading straight to the cafeteria where the girls would enlighten me with their news. But the bell never went off. I was just about to raise my hand to ask Miss Paige why the dinner bell hadn’t rang yet, when she spoke. ‘But what about prom tomorrow night’? I asked. A virus ewh I really hope that I don’t catch it, not until after prom night at least. I jumped out of my seat and launched through the classroom door, racing behind the girls into the cafeteria. The moment we all sat down around our table, the girls began to smoother me with the gossip that had been spread around our school like butter and come to their attention. Gossip that none other than Jessie Carter was going to ask me to prom tomorrow night. ‘I knew it’, I shouted not wanting to sound too proud in front of the girls. But I did like the thought of a happy ending. If all went to plan I would make sure he saw me in a hotter dress than the one I wore to Tara’s party, a dress that he would never forget, not even through death, although my dress was literally non-existent at that moment in time. Anyway back to school. I was sitting in the cafeteria with the girls when who walks into the scene, non-other than Jessie Carter of course. He always was the complete model of perfection, like something from the movies. With Jessie being the most popular guy in school, of course he was handsome. I mean whoever heard of the main guy being a total geek that stuff’s left for science fiction. His skin was golden bronze; he had mid-length jet black hair, perfect cheekbones, bright blue eyes and a smile that almost knocked you unconscious every time you looked at him. What more can I say, he was at the top of the gene pool and he was heading in my direction. ‘Hey Darcy how’s life been treating you’? Asked the god of mankind. I gazed into his gorgeous gaping eyes taking one silent breath before I responded. ‘Do you mind if we have a minute on our own’? He asked. In that instant the girls shot up out of their seats and within seconds they vanished into thin air. ‘Well here it is’, I said smiling. ‘You’re going to prom right’? ‘I am’, I responded with wide eyes. ‘I just wondered if you would save me a dance’. He asked. ‘Oh Darcy you should have seen your face, it was unreal. There is no one I’d rather go to prom with more than you. I was joking about Chloe I wouldn’t be seen dead with her. Now I’ll pick you up at seven and don’t keep me waiting’, he said with a smile the size of china. My heart pieced back together off the floor fully restored. Before he left he did the unexpected and planted a kiss on my blushing cheek. I was whirling in a dimension of perfect bliss. Panic arose when I returned home later that evening. I still had no dress and prom night was only one day away. I was on the verge of a complete fashion disaster, until my parents appeared. My parents were always loyal, loving and fun and they loved spoiling me as I was their only child. They knew that nothing made me happier than a bit of retail therapy. My mother smiled as she pulled out a long zipped bag with a coat hanger poking out of the top. ‘We hope you like it honey’, said my father. Then my mother slowly slid the zipper down from top to bottom and my eyes met a match made in heaven. In front of me was a baby blue ball gown that floated to the floor in an elegant fashion. A slit travelled from the knee that was webbed in white lace netting. Silver diamantes sparkled across the waist like a starry night sky. And to top it all off blue was Jessie’s favourite colour. If he was not mine by the end of prom night then something was seriously wrong and I would need a lot of therapy, retail of course. My dress was the perfect bait for the catch of the day. As I slept that night I had the most disturbing dream. I walked up a stone cobbled path through a garden and onto a hilltop. There I stood with the sun’s rays bouncing off my skin between two great pink blossom trees. I was wearing a white flowing gown and Jessie come riding up to me on a snow white unicorn. He pulled me up and he kissed me. Pink blossom petals floated around us it was truly beautiful like something you would read in a romance novel. But then the sky grew dark, a hot day grew to a cold night, the blossom trees turned and twisted as if they were in pain as the petals turned black. The Unicorn vanished and in its place stood a demonic looking creature, my dress turned read with the blood of the dead. I turned to look at Jessie. His eyes were distant, as if he had been possessed and then he tried to bite me. I awoke screaming and soon calmed down when I realised it was just a dream. Nothing would stop me from having the greatest night of my life, especially not some silly dream. As I sat pondering over a much awaited fulfilment, listening to the latest tracks on TMF, a newsflash interrupted my sleepless state. You have got to be kidding me, the world has been taken over by some life threatening virus and tonight is prom, this was my worst nightmare become reality. My parents listened to the broadcast upstairs on the radio and immediately came rushing downstairs like a bull in a china shop. ‘I’m really sorry honey but can you please stay up in your bedroom where it’s safe, you are not going to prom tonight’, my father declared. ‘But my teacher told me that prom would still be happening until further notice was given , you know how much I’ve been looking forward to tonight’, I stated before storming upstairs and locking my bedroom door behind me. The minute I locked the door my mobile began to ring. ‘Hey it’s Jessie, are we still on for tonight? I know that the TV is plastered with warnings and everyone’s parents are making them stay in but loads of us are sneaking out as everything is already set up for prom. Some of us are going down early to break in and get the DJ sorted, but it’s still going to be an awesome night. I know I said I would pick you up but it’s probably better if we just meet there, so what do you think’? He asked. ‘How did you get my number’? I asked. ‘No of course I don’t mind, you’re hot why would I mind’? I replied. ‘Well thanks you to, so are we still on for tonight’? ‘Yes why not, I’ll meet you there just after seven’, I responded. ‘Alright I’ll see you then’, he said before hanging up. It could take me a while to sneak out. I’d have to break out of the back door or as a last resort I’ll jump out of my bedroom window I thought, worried I wouldn’t make it. For the rest of the day the news warnings became more and more frequent until the screen went dead in my bedroom. I wondered if the lines were faulty or if something outside was causing a disturbance. I spent two hours preparing myself for prom; I curled my hair and outlined my eyes with black flicks making myself look irresistible for my date. I felt a little depressed knowing that prom had officially been called off but I knew that no one was about to listen to the news, as prom only happens once in a lifetime, besides not everything you hear on the news is always true. Finally the clock struck seven and I was in heaven. I quietly unlocked my bedroom door and with my shoes in my hand, I tip toed downstairs as silent as a grave. I overheard my parents discussing what we would do if we ran out of food. I quickly skipped through the hallway, towards the back door into the kitchen. But when I reached the door I found it to be completely covered with wooden boards and long nails drilled into the wall. This cannot be happening, I thought. I guess I will have to escape out of my bedroom window after all. I sneaked back through the hallway to make my way back upstairs but as I did my father began to make his way across the hallway. I pressed my back tightly against the wall so that he didn’t notice me and he walked back into the living room. My heart almost skipped a beat but the coast was clear. When I reached my bedroom I locked the door behind me, moving my dressing table in front of the door, to hold my parents off for a while, just in case they heard me trying to escape. I felt naughty, as if I was attempting a prison break but the feeling was exhilarating. I tied a belt around the top of my legs to hold my dress up so that I didn’t catch it on my way out of the window. Steadily step by step I climbed out of my window and slid down a sturdy pole to my right. I felt a little bruised on my arms and legs when I reached the ground but I was sure that tonight would make up for it. The streets were derelict. There wasn’t even a soul in sight which was odd, as I didn’t take my neighbours as the kind of people to ever listen to the news but I guess I was wrong. I looked back wondering if I should just run back home. It was too quiet for my liking but then I thought of Jessie. Tonight was the night I had been waiting for since I first laid eyes on him so I continued on. The school was in sight then I heard faint cries fading into the distance. I began to pick up my pace to the school until I tripped, falling to the floor in one swift crash. When I turned to my feet to see what I had tripped over, I found myself gipping at the sight of a huge bone. The bone was dry, except for a few drops of blood smeared around the edge, as if all of the skin and muscle had been sucked straight from the bone. I gasped with shock as I pulled myself from the ground. What was happening? The things I had seen, surely they could not be real. The sky grew dark as the sun went down and with it my bravery. The air grew cold the further I strayed. I looked around making sure I was alone. There was no one in sight. I wondered where all of the people had gone. Surely the virus could not have affected the entire town so soon. I wondered if people could be hiding out at the school, it made sense as it was the largest and most secure building in town. I had to hurry as I was too far from home to turn back. As I closed in on the school grounds I noticed a boy in the corner of the field, he was sat with his head down, rocking back and forth like a lunatic. Although the boy looked strange just sitting there rocking, I decided to get closer and find out what was wrong with him. As I drew closer I noticed that the boy’s clothes were torn, wet and muddy as if he had just climbed out of a swamp. His feet were bare and soiled with blood. He was making a grunting noise. I wondered whether I should turn back but what if he was hurt. I couldn’t just leave him here alone. Then he turned his head around one hundred and eighty degrees until his face was no longer at the front of his body but at the back instead. 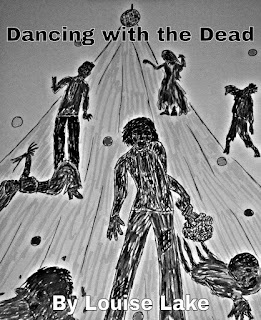 His cheek was half eaten with pieces of flesh swinging from the side of his face. His eyes were the colour of blood, a deep crimson red and his teeth were worn into spikes. With his pale complexion and death blue lips he looked positively horrifying. I had to look twice to make sure that I wasn’t seeing things but the second I was sure I lunged forward towards my school, still with my heels in my hand. I ran faster than I ever knew I could run. Then the boy started running after me. He was really fast as he began to close in on me, grabbing at the bottom of my dress, grunting louder with ever step he took. He was something you would expect to see at the morgue, not still animated chasing you down the street. His head was facing me whilst his body ran backwards. If I wasn’t totally freaked out already then I definitely was now, all I could think was what kind of virus was this exactly? When I reached the school doors I noticed that the boy had disappeared, which was strange as he was just behind me. Then out of nowhere he flew at me holding onto electricity cables. He tried to swing the cables around my body and catch me like wandering cattle. The cables caught my foot and knocked me onto the ground. He leapt on top of me trying to gnaw at my face. He smelled like rotting food and human vile, it was more grotesque than he looked and I felt like passing out from the stench. As I fought him off me I picked one of my shoes up from the ground and rammed the six inch heel straight into his throat, before I pulled myself free. I quickly grabbed my other shoe in case of another emergency and ran through the doors, down the hall and into the prom. As I turned from the door I was met by my fellow students and an over powering stench that turned my stomach. I was met by a bunch of corpses. Was I missing something here? Halloween’s a few months away I thought. What the hell was going on here? Was I the only one left without contamination? My girlfriends all stood in a circle motioning around each other, their arms swaying from side to side without an inch of rhythm in their rotting bodies. I scanned the hall with my eyes for Jessie but I couldn’t see him anywhere, maybe just maybe the virus hadn’t taken him yet. Then I saw him standing in the middle of the dance floor next to Chloe Carmichael. He was wearing a grey suit with a white shirt, holding a bunch of red roses in his hand. His eyes were gazing towards the floor as he started to walk over to where I stood. When he neared my gaze I realized that his suit was dusted in dirt, the roses weren’t red but white, covered in masses of splashed blood. His face was still intact but as his eyes met with mine, they were crimson red with dark purple circles below and his lips were pale blue. He then put out his hand as a gesture for me to join him. The shoe slipped out of my fingers and came crashing onto the ground. It looked as if tonight I would be dancing with the dead! It was Saturday night which meant only one thing guys night. For as long as I can remember me and the guys had always gone on the pub crawl in our village every Saturday night. Except for one weekend I spent in the hospital with appendicitis. Every weekend was the same, I would meet Clark, Leon and Martin at The Rudder at seven o’clock, and then we’d move onto Danny’s Bar, which they called my bar as that was my name. Followed by The Old Scot and finally end our night at The Royal, if we made it that far. But this night was different. On this night after Danny’s Bar we noticed another pub near The Old Scot. I found it a little strange that a new pub had appeared within the space of a week. All I could think was that we must have missed it last Saturday somehow. Maybe we were just too drunk to notice, as we had been before, like the time when we all woke up in each other’s beds. Somehow during the night we had all managed to swap keys by accident and were given quite a fright the next morning when we woke up with each other’s mothers in our faces. Although I have to admit, that night was a blur. As we neared the new pub, a breeze passed through us giving us a slight chill. We all looked up at the sign smash against the pole it hung from. There was a picture of a demon and the sign read Lucifer’s. ‘Woah, cool name’, Martin remarked. ‘It’s a bit messed up naming your pub after the devil’, Clark responded. Me and Leon just looked at each other and laughed. ‘Let’s just go in and check it out shall we, you never know we might have one hell of a time’, I commented as Leon burst out laughing. Martin was the first one through the door, followed by Leon. Just as I was about to enter Clark spoke. ‘Yeah because you’ll stagger out’, I joked. ‘Alright if you’re sure’, I said as Clark walked off into the distance. I went inside Lucifer’s but Leon and Martin were nowhere in sight. That’s when I got a good look at my surroundings, as if I had just been given sight for the first time. The entire place was painted a dark red with black furnishings outlining the room. I approached the bar but no one was there. The pub was dead. Leon and Martin must have gone to the toilet, I thought. I glanced around for a toilet sign but there wasn’t one. I noticed a small crystal encrusted skull shaped bell on top of the bar, so I pressed it. The bell played a deathly tune. I turned around finally realising that this must be a Goth pub. Maybe that’s why we never noticed it until now. When I turned back to the bar I almost jumped out of my skin. Behind the bar stood a tall man wearing black skull shaped shades, a long black caped outfit and an antique looking top hat. His hair was as white as his skin and his lips were painted black. He looked like he was trying to impersonate Jack the Ripper or something. Put it this way he certainly didn’t look like he was from around here. ‘Have you seen two guys come in here’, I asked breaking the silence. ‘No one has come in except for you’, he responded in a creepy voice. I stared at the man fully aware that he was lying straight to my face. ‘What’s in the back?’ I asked gulping hard in the back of my throat. ‘Why don’t you go and find out’, he responded. He pointed a long bony finger towards a door at the back of the room. I stared towards the door fearful of what was behind it. ‘Alright I will’, I said turning back towards the man. But he wasn’t there; he had vanished without a sound. I walked over to the door placing my hand upon the handle. Get a grip Dan; it’s probably just a games room. I swung the door open to be met with pitch black darkness. I slowly stepped inside and the door slammed behind me. Red lights began to flicker in the centre of the room. I followed the lights down a series of stone steps into what looked like a basement below. Then my mind went into overdrive. It was as if I knew where to go. Like a map had been imprinted inside my mind, like I had been here before. I continued making my way through the darkness until the room suddenly lit up. I fell back from a giant hole that devoured most of the ground. Martin and Leon stood with wide eyes, entranced at something below. I tried not to look but curiosity got the best of me as I gazed into the holes depth. Hellish creatures danced in the fire below, contained in a sea of lava. ‘Based on my sci-fi novels I’d say it’s some kind of wormhole.’ Martin commented. ‘It certainly gives a new meaning to the term pub crawl’, Leon joked. All of a sudden we were talking to each other, and then we found ourselves enveloped by strange black smoke that made its way up from one of the creatures below. Martin’s eyes went black, followed by Leon’s and then my mind went blank, as if someone had turned me off. My mind began to awaken after what felt like an eternity. We all still stood hovering over the edge of the hole, staring relentlessly into its depth. It was as if it held some kind of power over us. Not any power that we could see but every one of us felt the same, drawn into the hole. We all inched closer to the edge without even realising what we were doing. Our feet balanced as we began to slowly fall forward. Then something happened that made me snap out of the trance I was under. All I could hear was his scream fading into the distance. I stared after Martin as he became consumed by the grasp the darkness held over him. I stepped back just in time to pull Leon from the same fate. Something evil was trying to make us fall of the edge into an unknown fate. I felt sad for not being able to save Martin in time but there was a greater feeling buried within me, fear. The fear of what was to become of us because I intervened with the holes cruel fate. I looked back at Leon, he was shaking violently. I couldn’t contain my anger; we had to hurry if we were to make it out alive. I grabbed Leon and shook him as hard as I could but he just looked at me with empty eyes. In that moment Leon pushed me to the ground with a force I never knew he was capable of and he ran towards the hole. I leapt of the ground and ran towards the hole just in time to grab Leon’s hand as he went over. All of a sudden Leon consciousness came back as he looked down and screamed. ‘Dan get me out of here’, he cried. I mustered all of the strength I could find to pull Leon back to safety. As Leon jumped to his feet he was consumed by darkness as a number of shadows tool hold of his arms and legs, dragging him into the hole. Before I even had the chance to help him it was too late, he was gone. I was alone. Then I thought of Clark. If I could make it to The Old Scot I would be free. Clark was there and he would help me as he warned me about Lucifer’s in the first place. I should have listened to him but instead I laughed in his face. The shadows came after me as I made a run for it back up the stone steps, to the back door I came through. The door was stiff and the shadows were right behind me. I slammed my shoulder into the door over and over again, hoping it would budge. The shadows were inches away when the door opened and I came crashing down on the other side. I watched as the shadows backed away afraid of the light. I got up on my feet and I ran. I ran out of Lucifer’s. I ran down the street and I ran towards The Old Scot as fast as my feet would carry me. I flew through the door of The Old Scot, landing on the ground inside. I sighed with relief. ‘I made it’, I gasped. Clark stood frozen in shock. ‘That’s exactly where I’ve been’, I said. Suddenly Clark let out a loud obnoxious laugh. He was laughing so loud that my ears rang causing my mind to feel like a split pin. I stared after him in disbelief after the night I’d had. In the blink of an eye The Old Scot dispersed into ashes and I was back at Lucifer’s again. I scrambled to my feet in horror as the ground opened up beneath me. I held onto the edge of the bar as the rest of the pub was sucked into a pit of darkness. Flames began to blaze from the depth that the hole had created. I tried to pull myself over the bar but my fingers kept slipping off the edges. I tightened my grip and began to lift myself up just as my hands were met with a black cane. The cane had a crystal encrusted skull on the top. The bar man with the top hat and cape was holding the other end of the cane and before he spoke I realised who he was.